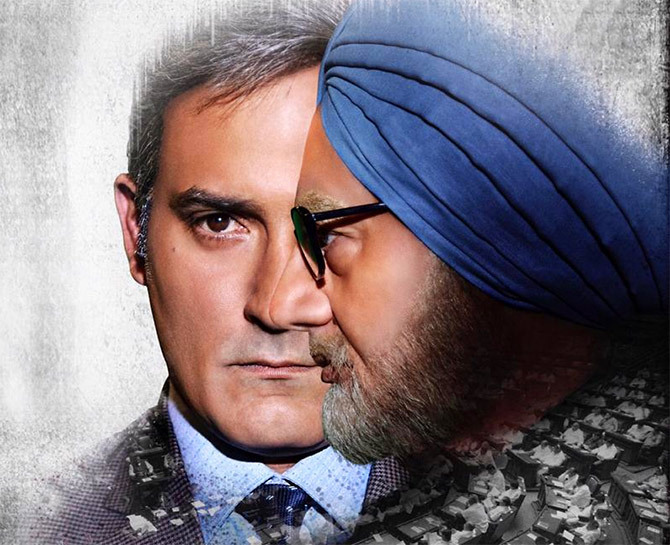 Rediff.com » Movies » The Accidental Prime Minister: Sheer propaganda! Nothing 'accidental' about this movie, feels Syed Firdaus Ashraf. The Atal Bihari Vajpayee government had an opportunity to introduce a bill in Parliament to disallow a person of foreign origin to become prime minister of India. India's first BJP-led government had six years to bring in such legislation, but it did not do so. BJP leaders felt the Congress president was an invaluable asset for their party's electoral prospects. The Congress emerged with the largest mandate in the 2004 Lok Sabha election. To the BJP's chagrin, Sonia Gandhi decided she would not become prime minister, handing the mantle to a mild-mannered Sikh gentleman who had served as finance minister in the previous Congress government headed by P V Narasimha Rao. 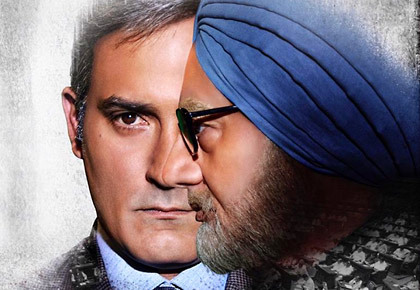 Now, months before the 2019 general elections, the trailer for The Accidental Prime Minister has been released and its intentions are clear to me: Sully the Gandhis's reputation. There's nothing wrong if the trailer wants to target the Gandhis and mock them. But why hide behind a disclaimer? Fictionalised for dramatisation? Really? Give me a break! Anupam Kher gives his finest performance as Dr Singh. By the way, Anupam's wife Kirron Kher is the BJP MP from Chandigarh and I don't think his casting is accidental. The trailer ends with Sonia Gandhi talking about a corruption scandal overtaking Dr Singh's government which is why her son Rahul cannot become prime minister. But what happened to the UPA government's corruption scandals that led to much drama in Delhi led by Kisan Baburao 'Anna' Hazare, much fulmination on the 'North Korean' television channels and much sloganeering by BJP politicians? Then telecom minister A Raja was acquitted. Suresh Kalmadi, who was accused of the Commonwealth Games scam, became lifetime president of the Indian Olympic Association in 2016 under the Modi regime. He declined the post until his name was cleared of corruption. The Accidental Prime Minister tries to defame Rahul Gandhi and Sonia Gandhi, and I don't believe it is accidental.